We are a building products manufacturer and distributor, specializing in Millwork products. We have an interior and exterior door hanging facility, and a custom wood shop in Southwest Baltimore where we focus on restoration and duplication of historic materials such as doors, windows, moulding, stair systems, and pretty much anything made of wood used in historic commercial and residential applications. We often take historic wood doors, and re-hang them into modern frame systems so restored homes can keep their original character yet also be slightly more energy efficient. We are a 4th generation family owned business, and also have a retail neighborhood hardware store in the same location since 1925. Zeskind’s is a Baltimore hardware store and millwork supplier located in Baltimore City, just inside the 695 Beltway. 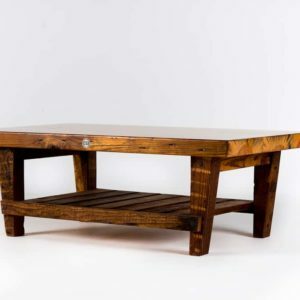 A family-owned and operated business that focuses on the tradition of personal customer service, Zeskind’s offers a full range from contractor grade to custom pieces in all areas of building products. Our Millwork division manufactures and distributes wholesale building products exclusively for contractors, installers, investors, developers, and other members of the building community. We are not licensed contractors, and do not offer installation of the products we sell, but can provide homeowners with contractor referrals as needed. We also have a retail Hardware store which caters to the general public, selling many types of building products that we keep in stock. In addition, we repair windows and screens that are brought into our store.